The chalkboard trend has been in full swing for quite some time now, showing itself in nearly every kind of craft and decor. 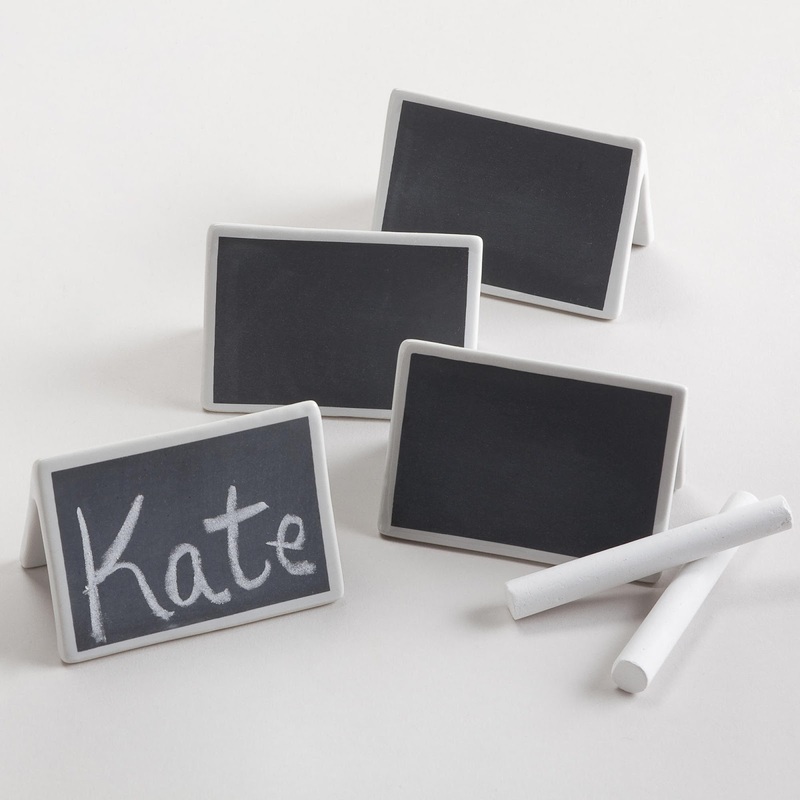 I remember seeing these Modular Chalkboard Tiles from Pottery Barn, oh, 4 years ago (?) 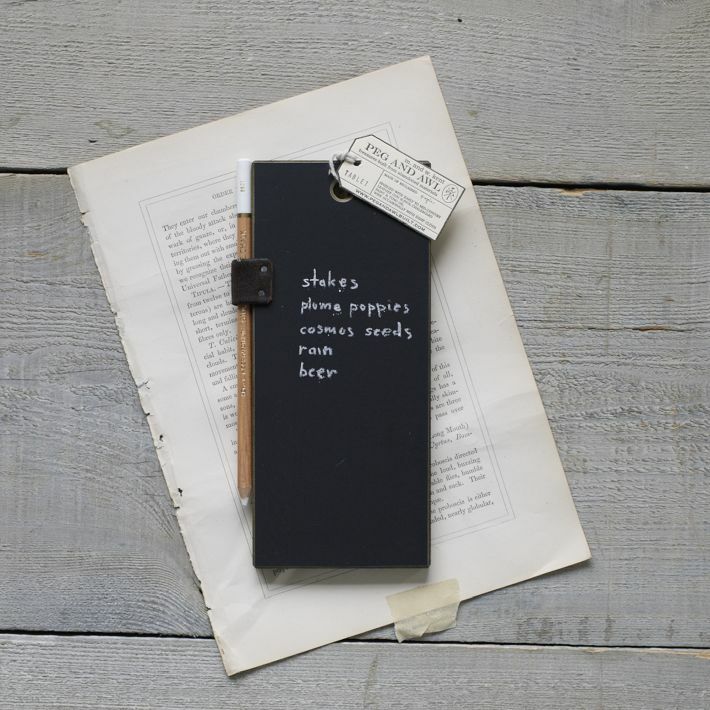 and falling in love with the stylish use of blackboards and blackboard paint in the home. 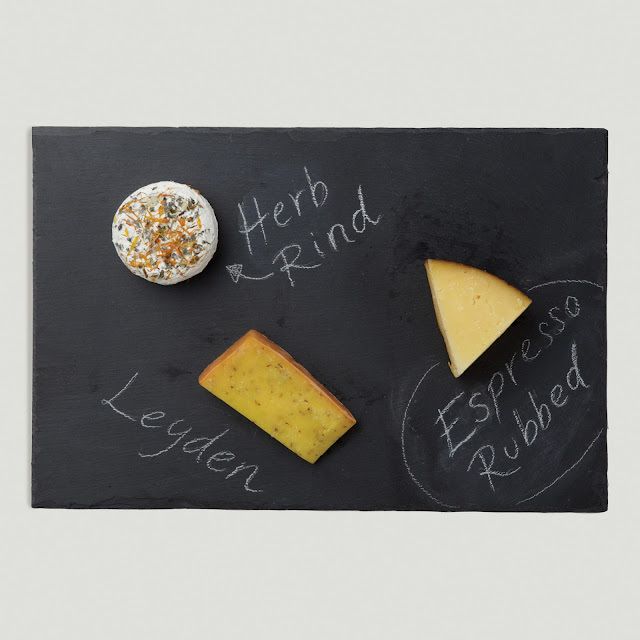 Anywho, with the blackboard look as popular as chevron, macarons, and salted caramel, it's no surprise that it has entrenched itself in the dining & entertaining market. Here are some of my favorite picks. 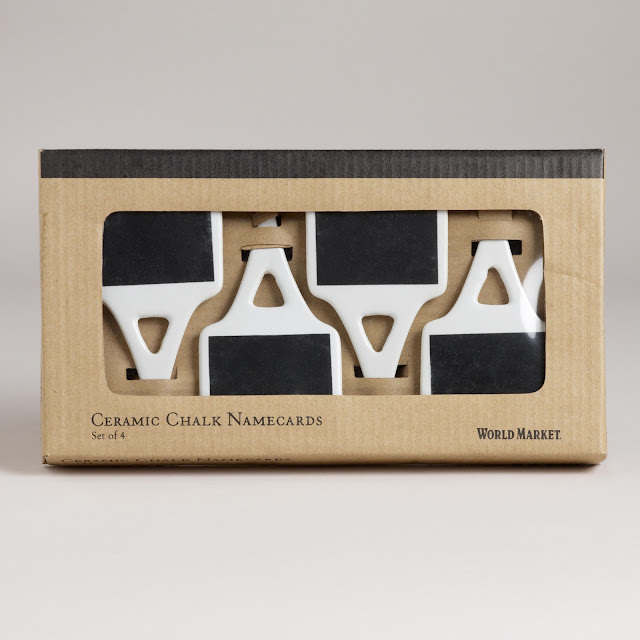 Chalk Talk Ceramic Namecards. Could also be used as cheese labels! World Market. Chalkboard Tablet. Thinking of ways to use this for overnight guests. West Elm. 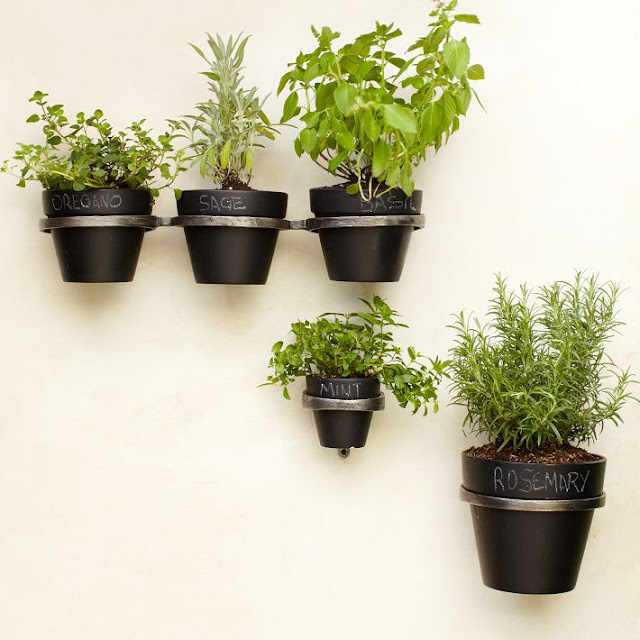 Chalkboard Planter. Great for table settings as part of a centerpiece or as herbal or floral name card holders. West Elm. 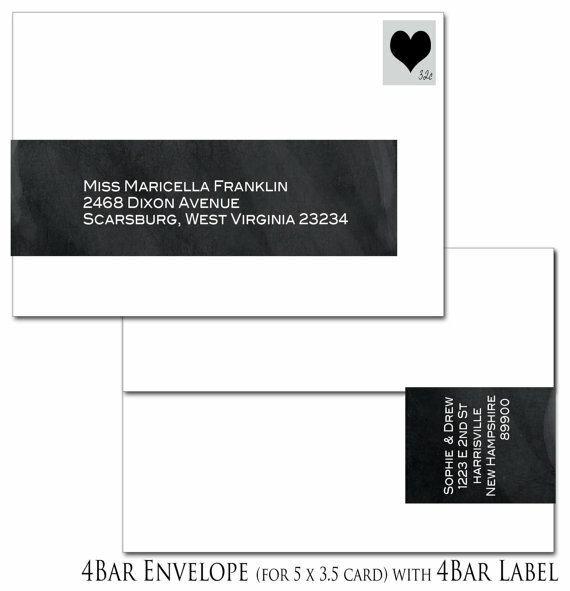 Chalkboard Printable Wrap-Around Address Labels. Brown Paper Moon. 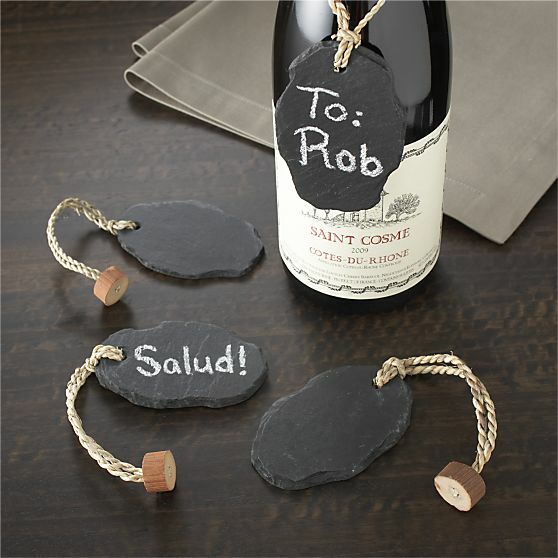 Chalk Talk Place Cards. World Market. 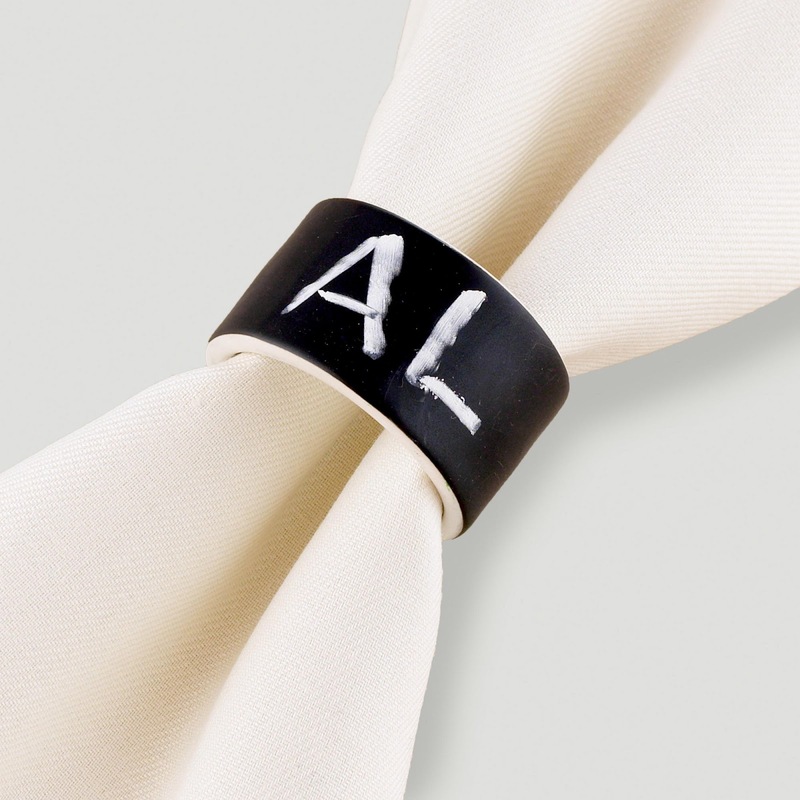 Chalk Talk Napkin Rings. World Market. 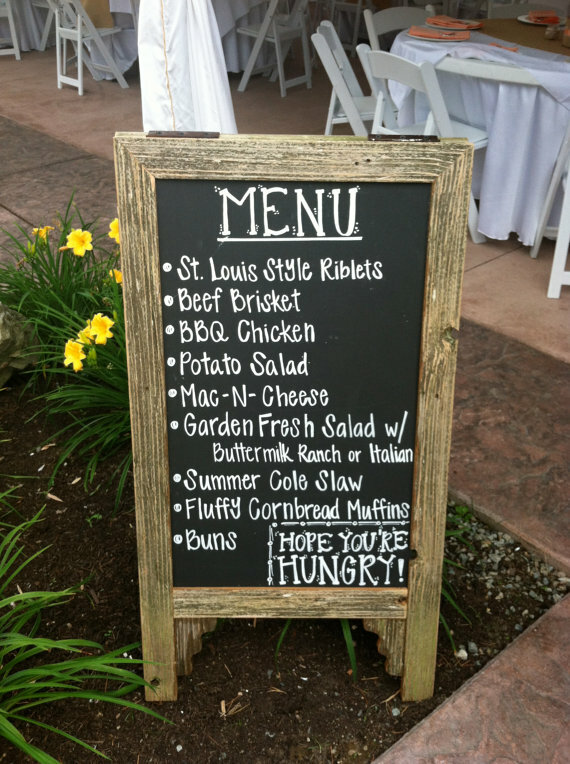 Double-Sided A-Board Chalkboard Easel Sidewalk Sign. Sliver Picker. 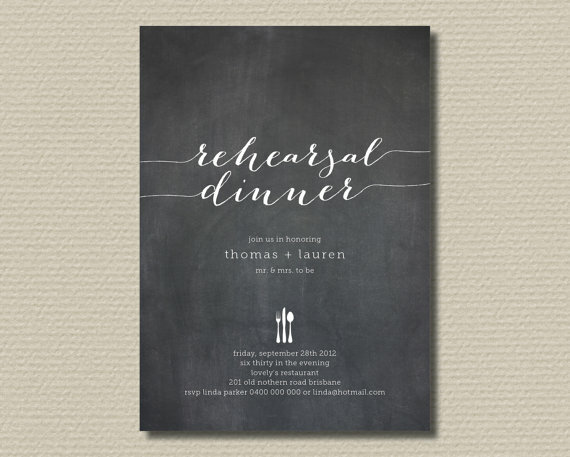 Printable Wedding Rehearsal Dinner Invitations. Rosie Day Design. 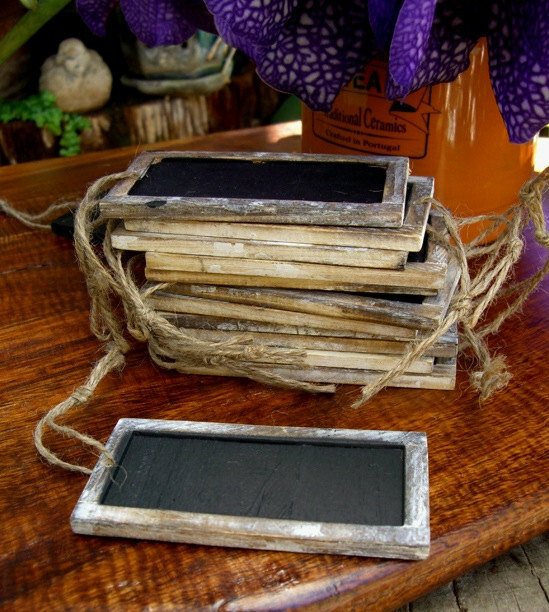 Rustic Bark Frame Chalkboard Tags. Earth Mother's Creation. 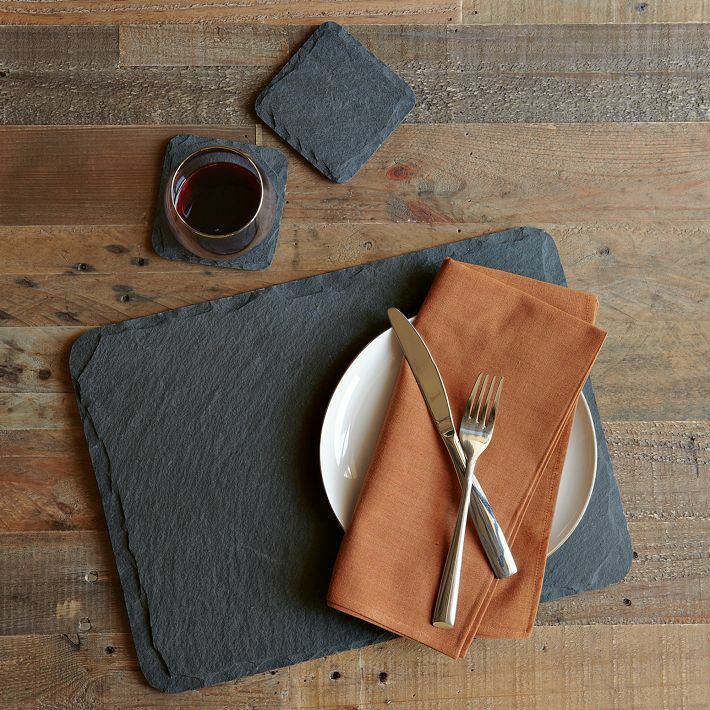 Slate Placemats and Coasters. West Elm. 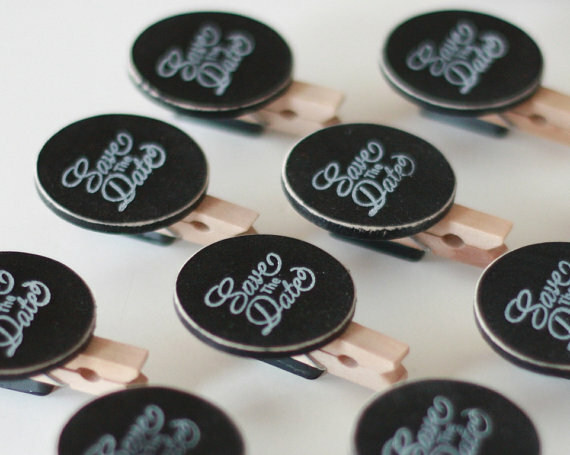 Save the Date Mini Chalkboard Clip Magnets. Moore Magnets. 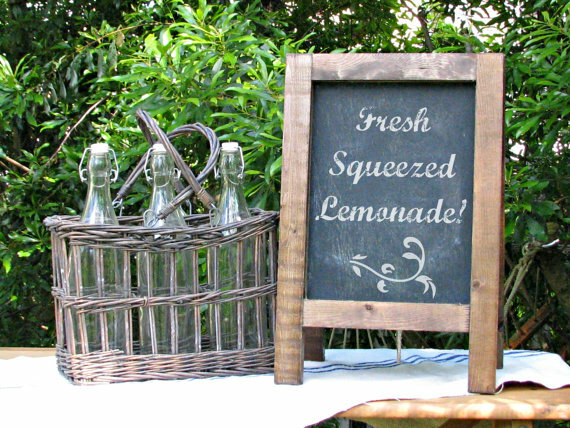 Vintage Mini Tabletop French Cafe Sidewalk Chalkboard. Cottage in the Oaks. 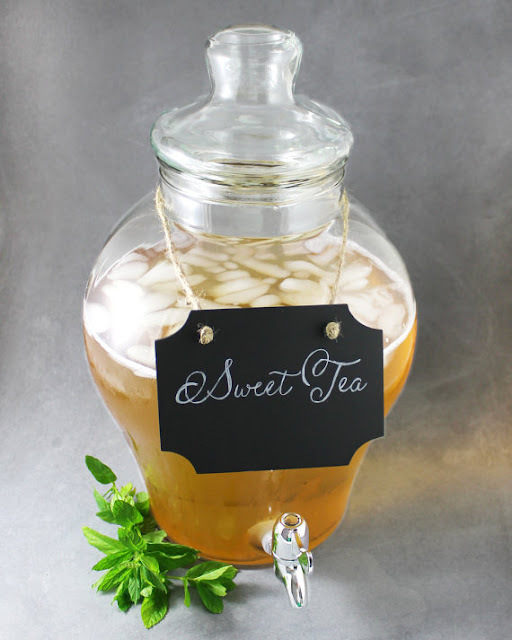 Beverage Dispenser Chalkboard Labels. Event Design Shop. Love this post, Janna! Such cute ideas. Love the first photo of your dining area! hmmm...wait. Is that your house? It looks like yours!